The child theme is a theme that inherits the functionality and styling of the main SEO WP theme, called the parent theme. A child theme is the recommended way of modifying the existing theme. 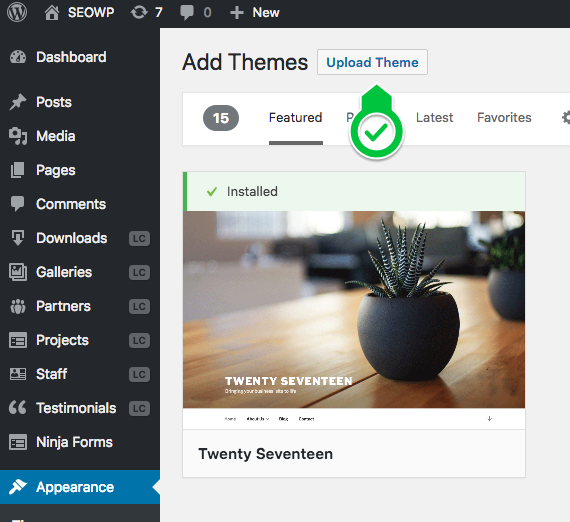 If you modify the theme directly and it is updated, then your modifications may be lost. By using a child theme you will ensure that your modifications are preserved. 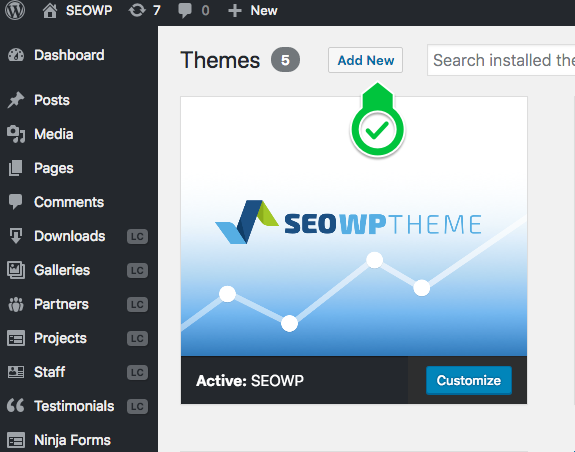 Go to WP Admin > Appearance > Themes and ensure the main theme SEO WP is installed. Click on the "Add new" button. Click on the "Upload" button. 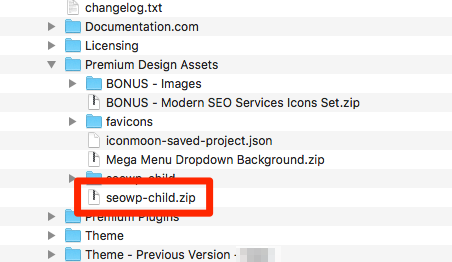 Go to the downloaded package / Premium Designs Assets folder and locate the child theme zip file. Upload the child theme and activate it. My child theme is outdated? By its definition, a child theme doesn't need to be updated, otherwise, you will lose all your customizations. The only one theme need to be updated is the parent theme. Does this theme have WooCommerce support? How to add a custom post type in SEOWP theme?